A return to his preferred racing style of settling back in the field saw First Watch use the long Bendigo straight to run his rivals down and score a convincing victory on June 2. 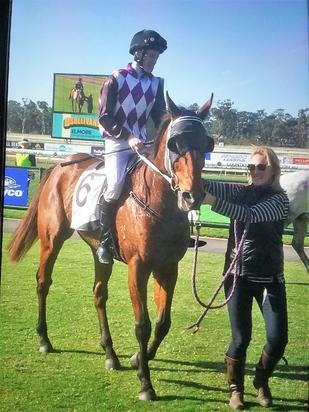 He was beautifully placed by trainer Alicia Macpherson in the BM58 after having contested a BM64 at his previous run at his home track, First Watch notched his third win from 18 starts to take his prizemoney to $44,387. A great ride by claiming apprentice Nathan Punch from a wide barrier settled the gelding 3 wide in the running line with cover towards the rear of the field until approaching the home turn. Making his move at exactly the right time he was within striking distance as they straightened. A slick sectional between the 400 and the 200 of 11.21 saw him contesting the lead with many chances spread across the track. This was 0.3 secs quicker than the rest of the field or the equivalent of 1.5 lengths. A strong final 200 propelled him to a clear lead and he was holding his rivals comfortably on the post.